The development of this device started in 2012 and could be finished in 2013. 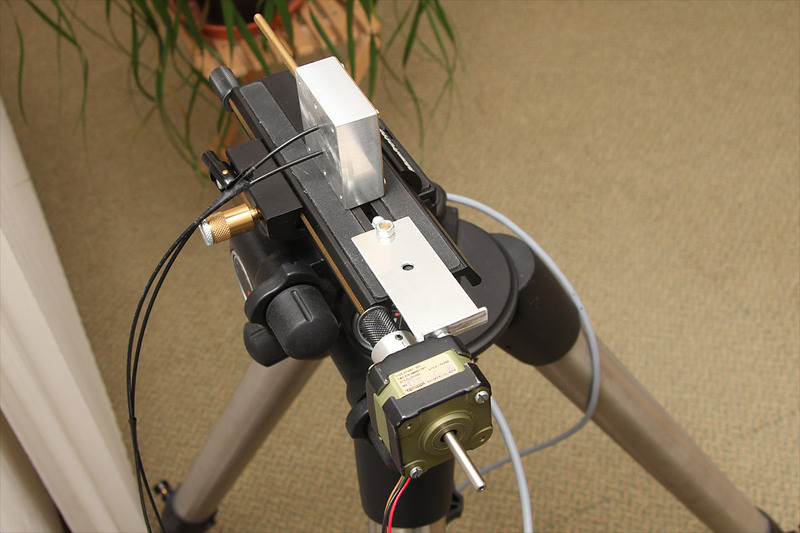 The primary goal for this development was a device which can simulate light signals from stars. 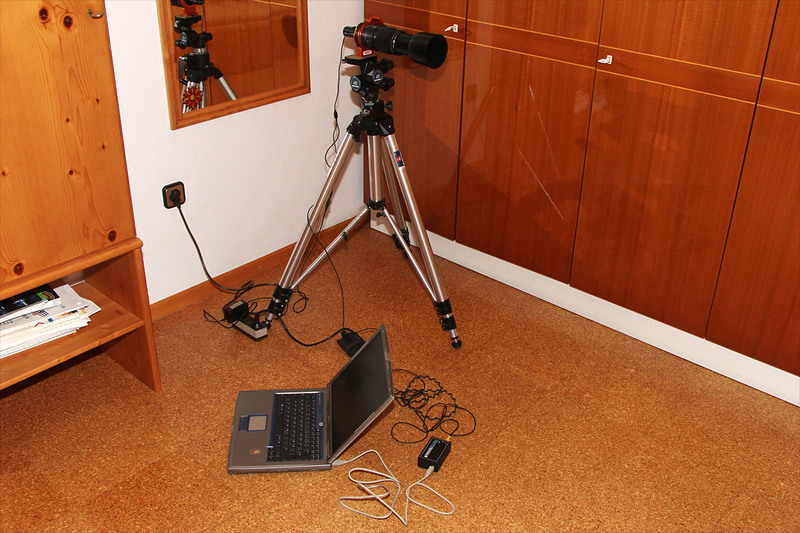 With artifical star signals several measurements and tests can be accomplished inside a house without any influence from sky background, atmosphere, seeing and other weather conditions. Artifical stars are realized by holes with 0.2mm diameter drilled in a brass board. And the light signal from the LED's to the star holes is transported with fiber cable. The brightness of the two artifical stars is controlled by microcontroller electronics. 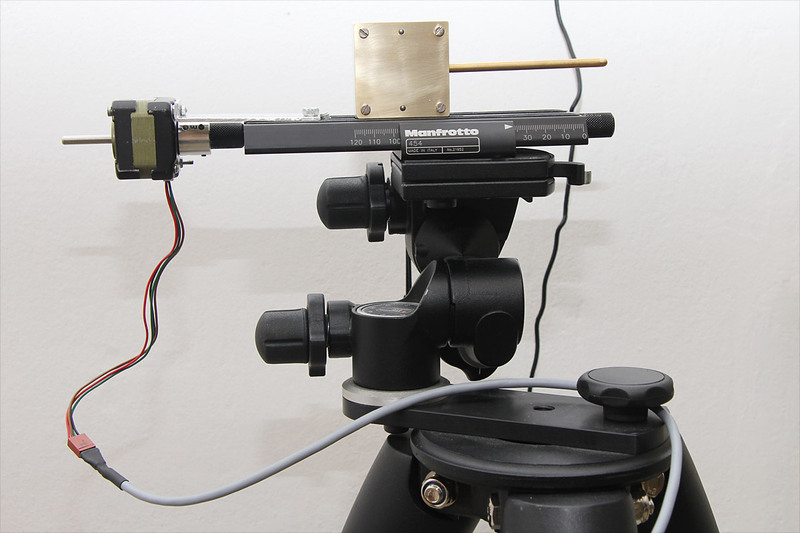 This is the base to measure the sensitivity and linearity of a camera sensor or a video signal analog/digital converter. The last step in the development was to add a motor driven slider for a linear movement of the star box. 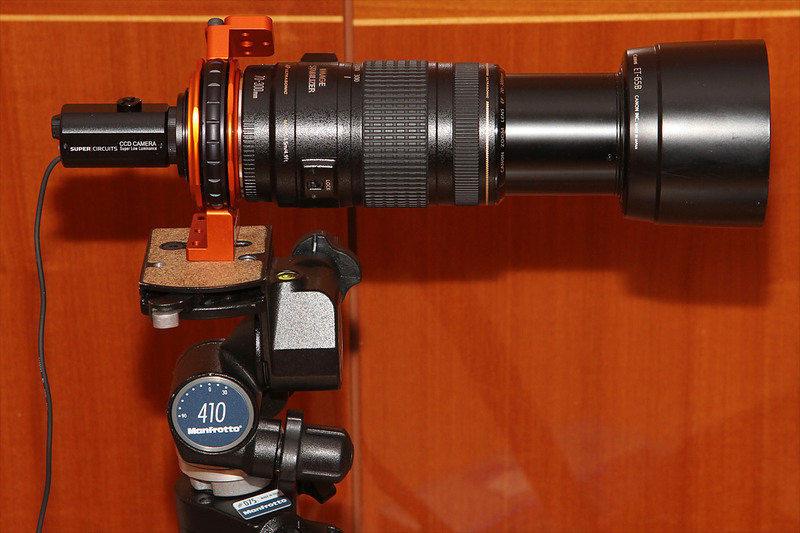 With this feature a drift scan recording in any direction relative to the camera FOV can be simulated too. 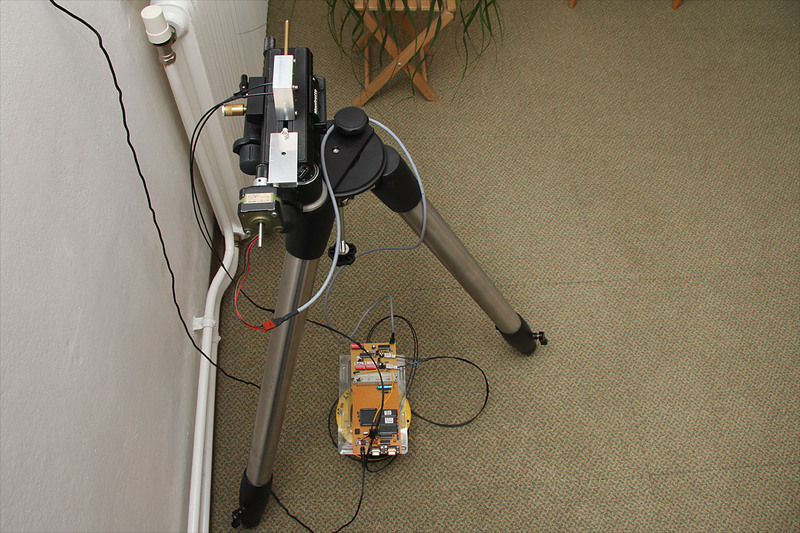 DASCO can work in several special modes to measure video cameras in real video timing or to measure a cooled astro CCD camera with 16-bit data output of single images. DASCO can change star brightness in a fast dynamical range of 8-bit for video or in a dynamical range of 16-bit for astro CCD imaging. 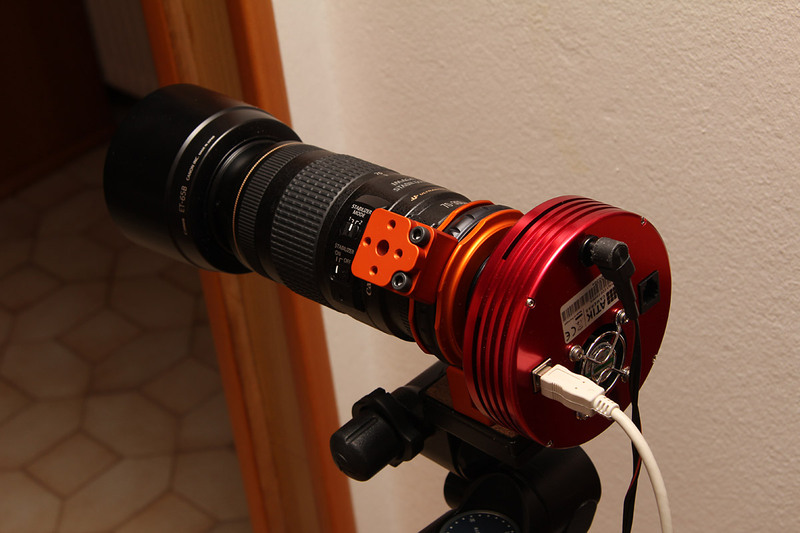 It can produce a relative fast brightness change in a saw tooth shaped lightcurve for video light curve measurements. But it can also produce relative star signal brightness changes with amplitude steps in the range from small 0.01mag up to 1.0mag. DASCO is a very usable extension of my previous developed special EXposure Time Analyzer device EXTA.